APT’s “Engaging Shaw,” is coming to the Touchstone this fall. A Very Entertaining Fall in Store for Madison . . . Kids are back in school and area theater companies have headed back to the rehearsal hall. As usual, there are a lot of exciting events in store this fall for lovers of the performing arts in Madison. Mark your calendars for these productions in particular, as the leaves turn and the days get chillier. That’s some pig. Perennial children’s favorite Charlotte’s Web is back for another run at Children’s Theater of Madison. Theatre LILA Artistic Director Jessica Bess Lanius trades her directing duties for an eight-legged costume, assuming the role of Charlotte. She’ll be crawling over a web made of steel on the barnyard set. And Associate Artistic Director Mike Lawler makes his CTM directing debut with this production, set in small-town Wisconsin and featuring a diverse cast. According to arachnid sources, the show should be “terrific.” It could even be “radiant.” October 5 -21 in The Playhouse at Overture. Too wise to woo peaceably. All kinds of people fall in love. But the ones who are the most fun to watch are smart and witty to the extreme, able to verbally spar with skill while they jockey for position in the relationship. That’s the draw of Engaging Shaw, the last show of the 2018 season at American Players Theatre. Based on the real-life romance between George Bernard Shaw and Charlotte Payne Townshend, the four person comedy features real-life couple Colleen Madden and Jim Ridge as the erudite lovers. October 25 – November 18 in The Touchstone Theatre. A Lesbian Cartoonist. To celebrate their tenth season, Forward Theater has added a musical to its line-up, and not just any musical. 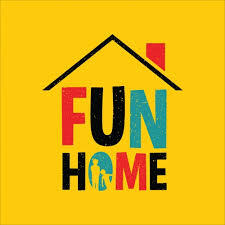 Based on the graphic memoir by Alison Bechdel, Fun Home is an eloquent, irreverent, groundbreaking production about love, extreme family dysfunction, homosexuality, suicide, and growing up in a funeral home. Adapted by Lisa Kron and Jeanine Tesori, it garnered Tonys for Best Musical, Best Book, Best Score, Best Leading Actor and Best Direction in 2015. Seeing it live in Madison this fall is going to be amazing. Seeing it with Karen Olivo in the lead role, fresh off her Boston run of the new musical Moulin Rouge, is going to be, well. . . do you feel my heart saying “hi”? November 1-25 in The Playhouse at Overture. Political Intrigue. When Gore Vidal’s play The Best Man opened on Broadway in 1960 The New York Times called it “a political melodrama that comes close enough to the truth to be both comic and exciting.” A comment on the politics of the time, the script pits presidential candidates against each other to win the endorsement of a former commander-in-chief. Will it be the honest liberal or the bigoted charlatan who gets the nod? The Madison Theatre Guild production, directed by Dave Pausch, arrives just in time for the 2018 midterm elections this fall. November 2-17, on the Bartell’s Drury Stage. Kid rock. The 2003 hit movie “School of Rock” was a fun vehicle for the irrepressible Jack Black, and a great excuse for him to geek out as a killer guitarist backed by a band, made up of gifted and talented kids from an elite private school. The Broadway musical version features the talents of another well-known musician—Andrew Lloyd Webber. With 14 new songs, the same irreverent take on educational methods, and a cast of mega-talented kids playing their own instruments, mark me present. I’m ready to rock. November 20-25, in Overture Hall. Famous for all the wrong reasons. In 2016 Meryl Streep played Florence Foster Jenkins in the movie of the same name, immortalizing an actual heiress and socialite who became famous for her love of opera — and for butchering those operas when she sang them at Carnegie Hall. Now Four Seasons presents the same story in an intimate, two person musical called Souvenir. APT’s Sarah Day stars as the woman with a generous heart and an ear-splitting voice. December 6-16 in The Playhouse at Overture.